Starting with 1 January 2018, Romania has assumed the Chairmanship of the Energy Charter Conference for one year, being the first EU Member State undertaking this responsibility. We are discussing extensively about the objectives of this international platform and about Romania’s objectives during this term, opportunities and consequences, with the President of the Energy Charter Conference – Iulian-Robert Tudorache, State Secretary in the Ministry of Energy. Dear Mr. President, how was the Energy Charter concept born, what are its general objectives and, especially, the priority guidelines? I can state that the Energy Charter process started in the ‘90s, as a political initiative launched in Europe, at a time when the end of the Cold War provided unprecedented opportunities for overcoming the economic division existing until that moment. Starting from the idea that there were real prospects for increased collaboration in the energy sector, it was intended to establish a platform of cooperation in this field, accepted by both states in Eurasia and the developed states, the Energy Charter process starting in this context. Thus, the European Energy Charter was signed in 1991 in The Hague and the Energy Charter Treaty (ECT) and the Energy Charter Protocol for energy efficiency and environmental aspects were signed in 1994, in Lisbon. ECT contains rights and obligations for states parties under international law, being developed on the basis of the principles of the Energy Charter, which is a political document. ECT provisions cover critical areas, such as transit of energy and energy resources, investment protection, energy trade, crisis mechanisms, energy efficiency. But after 2009, following a round of ECT effects assessment, the need to modernize the Energy Charter Process has been highlighted, given the new international energy context, the existence of liberalized energy markets, the competition that is increasing at the level of producing, consuming and transit countries, the importance of environmental protection. Thus, at the Energy Charter Conference in Warsaw, which took place in November 2012, a decision was adopted to initiate negotiations for an Updated Energy Charter. The considerations were mainly related to the need to replace the obsolete language of the Charter from 1991, having for example references to the former USSR, to the cold war, and the need to reflect the evolutions of the last 20 years in the energy sector. At the same time, it was considered to admit observers in the Energy Charter Process, under lighter terms, create favourable conditions for expanding the Energy Charter Process and the accession of as many countries as possible to this process, and allowing countries where the Energy Charter Treaty is not in force, has not been signed or ratified, to participate in the negotiation of Protocols within the Treaty, as observers. The adoption & signing of the International Energy Charter was held in The Hague in May 2015, within a Ministerial Conference. The 1991 European Energy Charter and the International Energy Charter will continue to coexist, and for the accession to the ECT, it will still be necessary to sign the 1991 Energy Charter, as the ECT provisions refer expressly to this document. If I were to summarize the main changes made to the text of the International Energy Charter as compared to the 1991 European Energy Charter, they refer to the inclusion of updated targets for the new Charter, such as strengthening the expansion and enlargement policy, strengthening the structural dialogue in view of promoting the principles of the International Energy Charter, the need to identify solutions to meet the challenges of energy security, at the same time with a sustainable economic development, the increasing importance of regional and international energy cooperation, encouraging the widespread use of renewable energy resources and clean technologies , the need to increase energy efficiency. At the same time, the Annex to the International Energy Charter lists the relevant documents and initiatives of recent years, with direct reference to both the Charter’s basic elements, such as investment, trade, transit, energy efficiency, but also new areas emerging after 1994 in the international energy plan, such as the use of renewable resources, extended international cooperation, intensified dialogue between energy producer, consumer and transit countries. The inclusion of references to numerous initiatives and documents has been accepted in the context of the internationalization of energy cooperation processes, underlining that the new Charter gives equal importance to the cooperation processes in all regions and that there is a willingness to include new energy themes in the Charter Process, insufficiently developed in the 1991 European Energy Charter. Romania has assumed the Chairmanship of the Energy Charter Conference for one year (2018-2019) and you have been appointed President of the Energy Charter Conference in 2018. What is the structure of the team you lead and what are the responsibilities of its members? The team which, in collaboration with the General Secretariat of the Energy Charter, deals with the issues of the Chairmanship of the Charter, includes mainly representatives of the Ministry of Energy, as well as representatives of the Ministry of Foreign Affairs. Organizing the 29th Meeting of the Energy Charter Conference in Bucharest, during 27-28 November 2018. The team ensures participation in meetings of working groups activating in the context of the Energy Charter, respectively the Working Group for Strategy, with the Subgroup for Modernization, the Working Group for Implementation, the Budget Committee, as well as other meetings and actions of the Charter organized during this year. I have to emphasize that it is team work, a team that has proven its effectiveness from the very beginning and understood the importance of Romania’s mandate during the Chairmanship of the Energy Charter Conference. How important is the assumption of the Chairmanship of the Energy Charter Conference for our country, what opportunities exist and what will be the concrete consequences? The Energy Charter Conference organized in December 2015 in Tbilisi, Georgia, officially approved the takeover of the Chairmanship of the Energy Charter Conference by Romania in 2018, our country being the first EU member state to assume this position since the introduction of the rotating chairmanship principle at the level of the Charter Conference. The Romanian Government also approved during the meeting held on 12 April 2017 the Memorandum on Preparing for taking over the Chairmanship of the Energy Charter Conference by our country in 2018. Before Romania, the Chairmanship of the Energy Charter was held by Turkmenistan, one of Romania’s strategic energy partners, who has done an extraordinary work for which I also wish to congratulate them on this occasion. After Romania, the Chairmanship will be taken over by Albania. For Romania, it was an extraordinary chance to have the honour, but also the responsibility, to hold this Chairmanship from 1 January 2018, a chance that offered our country significant opportunities. By exercising its mandate, Romania had the opportunity to imprint its national vision on strategic debates at Charter level and to promote on the agenda of the Chairmanship this year, as priority themes, in addition to the major objectives of the Charter related to the creation of a stable and transparent investment climate, promoting reliable international transit flows and mitigating environmental impacts, a range of national and regional issues such as the eradication of energy poverty and the promotion of energy efficiency, as a solution to combat energy poverty and ensure energy for all. For Romania, assuming the position of Chairman of the Energy Charter Conference also involves the opportunity to demonstrate its important role in facilitating structured and strategic discussions within the Energy Charter format to improve the adequacy of its objectives and to reaffirm its support and directly contribute to the process of strengthening and focusing the Charter’s activities and promoting an agenda focused on streamlining its activities. But holding the Chairmanship has also meant for Romania facing challenges, such as the Modernization of the Energy Charter Treaty, to take into account the new energy architecture so that it becomes an important tool that can provide a solid legal basis, in order to promote stable and sustained investments in the energy sector. Last but not least, I would like to remind that under Romania’s Chairmanship of the Energy Charter Conference this year, Bucharest will host the Annual Energy Charter Conference, which will be attended by the delegations of all member states, as well as observers. It is an extremely important event, which will bring Romania into international attention and for which the organizational steps have begun long ago, under all the aspects that an event of such scale implies. What is Romania’s contribution and what are our country’s objectives under this mandate? Romania will continue to promote a global vision on the role that the Charter can play in progress towards a secure, accessible and sustainable energy future. We are convinced that the international energy architecture requires the convergent approach offered by the Energy Charter process, with interests and rules based on the contribution of all stakeholders and a common understanding and observance of laws. We expect to see in the coming future significant progress in global efforts to develop low-carbon economies, ensure energy security, maintain costs at affordable levels and improve efficiency. For these objectives to be reached, both public and private cost-efficient efforts are needed. We must put the consumer at the heart of implementation of the new energy and climate policies, consumer which must benefit from economic growth and the expansion of new technologies in the energy sector. We see the Energy Charter as an appropriate platform for discussing issues relating to investments, investor protection, trade and transit, based on a modernization process in conjunction with the dynamic transformation of the energy sector. I would like to emphasize that the main themes that have been addressed during the Romanian Chairmanship of the Energy Charter are related to the promotion of energy efficiency solutions, through the exchange of best practices and possible incentives, as active instruments for improving access to energy; promoting investment and developing cooperation to attract smart technologies in order to eliminate the technological gap between countries and regions, by focusing on improving production and transmission networks and, last but not least, improving the security and reliability of cross-border energy flows as a critical issue of energy security. In view of the above-mentioned priorities, Romania promoted, during its Chairmanship, the need for structured and strategic discussions within the Energy Charter format on improving the adequacy of the Charter’s objectives in relation to unprecedented changes in the energy market and technological progress, i.e. the modernization of the Energy Charter process. Another important aspect considered during the Romanian Chairmanship will be the Modernization Process of the Energy Charter Treaty. The Energy Charter Treaty has become a significant tool that can provide a solid legal basis for securing and promoting stable and sustained investments in the energy sector, but a process of modernization is needed to contribute to a wider and more coherent understanding of challenges to global energy security, as they manifest today. As Energy Charter debates should focus on the key aspects of the Energy Charter Treaty, the modernization process will first have to address the issues of energy investment, investment protection, trade and transit, settlement of disputes. Also, an updated interpretation and application of the Treaty is needed, to meet the expectations of the energy industry and contracting parties, encouraging the participation of observers in a more active way in the process so that they eventually become contracting parties. We are determined to support the process of modernization of the Treaty and our joint efforts with the Energy Charter Secretariat have recently been welcomed by European Commission Vice-President for Energy Maroš Šefčovič, in Brussels, on the occasion of the launch of EIRA 2018 publication. The main topics on which discussions on modernization will be launched next year will be established within the Charter Conference in Bucharest. I underline the special importance of the international events that Romania has assumed in the margin of the Chairmanship, and which have a significant potential to increase our country’s international involvement and visibility. How much of the proposed targets to you expect to be achieved by the end of the year and what will remain on the agenda for the next period? We are approaching fast the end of this year and I can say that we have succeeded in achieving our goals. We had a very good collaboration with the Energy Charter Secretariat, especially with General Secretary Urban Rusnak. The organization in Romania of the three major events, assumed during our country’s mandate, undoubtedly involved a great effort on our part in all aspects, but I am convinced that we have successfully fulfilled our mission and role assumed when we took over the Chairmanship. I would like to add that another priority of the Romanian Chairmanship that we succeeded to complete was the launch of EIRA 2018, the Energy Investment Risk Assessment publication. The main goal of EIRA publication is to help Governments improve investment conditions for foreign investors in the energy sector. It examines and addresses risks related to unpredictable changes, discrimination between foreign and domestic investors and breach of State obligations. The assessment aims to assist governments in recognizing potential gaps and to provide opportunities to learn and stimulate reforms that could mitigate these risks and consolidate investor confidence. As I was saying, EC Vice-President for Energy Maroš Šefčovič also attended the launch of EIRA 2018 and he particularly appreciated the work of the Energy Charter. EIRA publication was a priority of the Chairmanship of Romania of the Energy Charter Conference and we are proud that the first public edition was launched during the Chairmanship of our country. 30 countries participated in the preparation of this edition, including Romania, and we want an increasing number of countries to participate in this assessment process in the future. As President of the Energy Charter Conference, I hope that the Energy Charter Secretariat will continue to develop this publication, to reach the goals of the Energy Charter Treaty of ensuring energy supply security, access to energy for all, increasing consumption of clean energy and further promoting energy efficiency. I must mention that the Treaty does not create investment opportunities for companies by forcing free access to resources or by defining a certain market structure for the countries that are members of the Energy Charter. These are sovereign decisions of member Governments. However, once an investment in energy is made, the Treaty has the role of ensuring a stable interface between the foreign investor and the host Government. This stability is particularly important in the global energy sector, where projects are strategic and require significant capital and where risks need to be assessed in the long term. 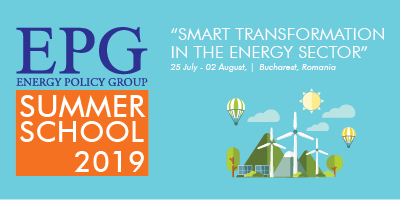 In the margin of the Energy Charter Conference, the Ministry of Energy has been involved in organizing a series of events in Bucharest, including the Forum on “Energy Efficiency – a Priority in Combating Energy Poverty and Ensuring Energy for All”. What were the main conclusions of the forum and what echoes did it have at national and international level? Highly motivated to improve social welfare, economic sustainability and prosperity, Romania has added energy poverty as a priority theme of its agenda under the Chairmanship of the Energy Charter Conference this year. We were very glad that the theme proposed by Romania for the Bucharest Forum awakened a real interest among the participants, because energy poverty is a common concern for most of the countries of the world. And energy efficiency is increasingly recognized as a valuable energy resource, essential for a sustainable energy future that can help alleviate energy poverty. Improving the energy efficiency of households suffering from energy poverty can not only reduce bills of affected consumers, but also reduce the costs and prices of energy systems for all energy consumers, stimulate job creation, improve energy security and provide many other benefits. 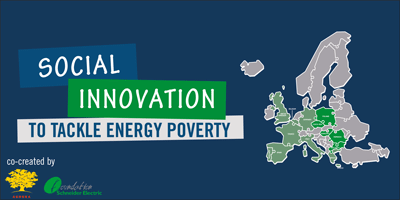 Energy poverty leads to social marginalization, because lack of access to modern energy services and inaccessible energy for low-income energy consumers prevent the social and economic development of these families and communities. Although energy efficiency measures aimed to mitigate energy poverty can bring benefits associated with the social and economic progress, the same measures can bring benefits associated with the development of the energy system. Therefore, strategic measures to increase energy efficiency of households in terms of energy poverty should be at the heart of future energy policy decisions. Such actions require support through public finances, but as public budgets are limited and subject to competing demands, the main challenge is to maximize the impact of public finances and their effect on private funding. The International Energy Charter, which is a multilateral legal framework for international cooperation in the areas of investment, trade, transit and energy efficiency, plays an important role in mobilizing private sector investment in energy efficiency and promoting best practices in the energy efficiency policy. To summarize in a few words the conclusions of the Bucharest Forum, I would point out that energy efficiency is increasingly recognized as a valuable energy tool, crucial to a sustainable energy future, which can contribute to the mitigation of energy poverty, to the decrease in costs of the energy system and, implicitly, to ensuring affordable energy prices for all consumers, to the stimulation of job creation, to the improvement of energy security and to the provision of many other benefits. We are ahead of the major event to be held in the Capital on 27-28 November – The 29th Meeting of the Energy Charter Conference. What is the theme of this meeting, how is the event structured and what audience will it have? The event is structured on two meetings, the first on 27 November 2018, which will represent the meeting of the Energy Charter Conference, attended by the signatories and observers of the Charter and during which decisions will be made on the operation of the Charter in the coming period. On this occasion, the budget and work plan for the following year will be approved and the reports presented by the Secretary-General and the Working Groups will be analysed and discussed. It will also address issues related to the modernization of the Energy Charter Treaty, the takeover of the Charter Chairmanship during the period 2020-2022, the start of the process of analysing the Charter process in the context of the provisions of the Energy Charter Treaty and, of course, the adoption of the Bucharest Declaration. It is a very important document, which is signed according to custom at the end of each Energy Charter Conference and which will practically synthesize the conclusions of the meeting in Bucharest. In parallel, on the first day of the conference, Transgaz will organize in cooperation with the Ministry of Energy the Seminar on “Improving energy security and developing cross-border energy systems. The role of innovation and new technologies“, taking into account the accession of the company to the Industry Advisory Panel and the company’s regional-wise status and the ambitious safety-of-supply projects that company is involved in. The second meeting taking place in the context of the Energy Charter Conference is the ministerial meeting organized under the auspices of the Ministry of Energy, on “Driving innovation for ensuring energy security, sustainability and prosperity“. In the first part of this meeting, the participating ministers and heads of delegations, Charter members and observers, as well as representatives of the energy industry, will express their views on the themes included in the discussion agenda. The ministerial meeting will be followed by two thematic Panels, which will address issues of cooperation opportunities to facilitate the transfer of technology and innovation in the public and private sectors. We hope to enjoy a high level of participation. The steps to invite the energy ministers of the member countries, the representatives of the European Commission and the high representatives of the international institutions started in June this year. After the Energy Charter Conference works, on 29-30 November, we continue with a series of events in the Prahova County and I′m referring here to the Aspen Energy Summit 2018 in Ploiesti and also a series of visits to the energy objectives located in the Prahova County, one of the most representative County for the Romanian energy sector. What message does Romania convey at the end of the year for the international energy community and what significance did this experience have for you as President of the Energy Charter Conference? The main messages we want to convey to the international energy community are of course included in the Bucharest Declaration. I believe, however, that it is of major importance to improve the cooperation framework for completing the technological gap between countries and regions and to increase energy security by developing international cooperation aimed at ensuring an integrated energy market and secure transit corridors. In the context of a European agenda highlighted by many energy challenges, I believe that the biggest one is to ensure energy security, with the role to reveal the way in which European solidarity is understood. Romania is fully involved in the efforts of the international energy community to ensure a stable and sustainable energy security framework in both Central and South-Eastern Europe and across the European Union. The process of strengthening regional cooperation needs to be stepped up, underlining the need to promote a unitary energy message. Ensuring by Romania the Chairmanship of the Energy Charter Conference in 2018 provided the opportunity to highlight the convergent approach of energy issues, to maintain an open and active dialogue between the member states of the European energy community, with the contribution of all, as an important tool serving the energy goals of the energy community in its entirety. I am convinced that, based on its role and expertise, Romania is regarded with interest in the European space and its voice is listened. Through its geographical position and its energy potential, in all its aspects, our country has the capacity to play a significant role in the regional energy equation. Romania actively contributes to the definition and consolidation of the European Union’s energy diplomacy and fully supports the European efforts to promote a common approach and voice of the EU in the promotion of strategic energy objectives. Therefore, cooperation, as a basic principle of European energy policy, must be the main means of overcoming the energy challenges at regional level, with potential impact at an enlarged European level. In conclusion, I want to thank for the trust I was given by my appointment as President of the Energy Charter Conference during Romania’s Chairmanship of the Energy Charter Conference in 2018. It was undoubtedly an honour, and also a great responsibility. But I firmly believe that Romania has managed to successfully exercise this mandate and that it has succeeded in capitalizing on this extraordinary opportunity offered by the rotating Chairmanship of the Energy Charter Conference. I am convinced that we will hand over tangible results to the next Chairmanship ensured by Albania, and that the consistent and especially team efforts of Romania will be continued, in order to reach the major objectives of the Energy Charter.